Blue Mountain Peak Ranch (BMPR) contains the highest topography (2,135′ above sea level) in Mason County, Texas. It is 830+ acres, or about 1 1/4 square miles (the size, coincidentally, of Guana Island, British Virgin Islands, another TCA project site). BMPR was purchased as a conservation project in 2001 by TCA Vice President Richard Taylor and his wife Sally. Richard and Sally were Co-Founders of The Conservation Agency and shared our philosophy of restoring native habitats and species. Sally died shortly afterward they took ownership, but the couple’s vision initiated an ambitious program of restoration and wildlife management on the property which was devastated by decades of livestock grazing and poor management practices. The goal at the BMPR is to increase species diversity and water replenishment of the aquifer. 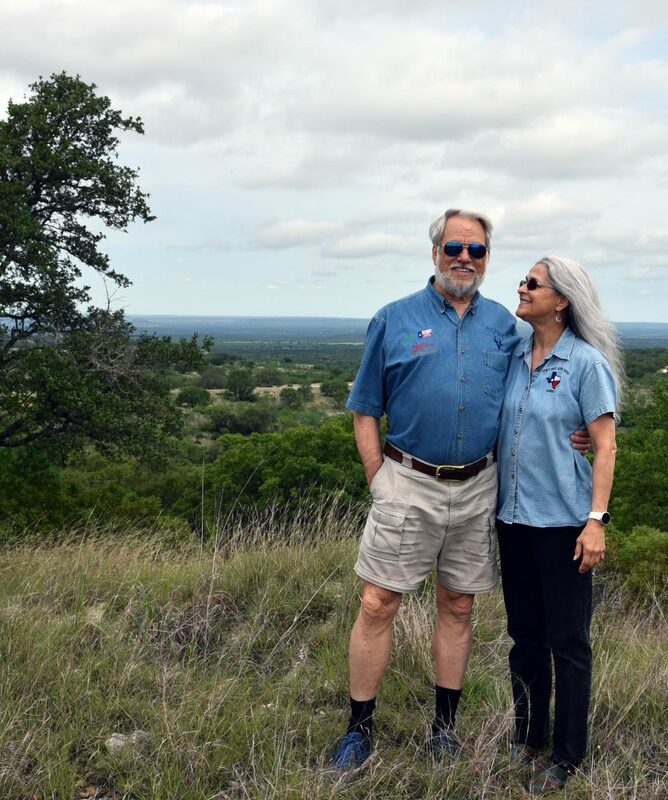 Richard, his partner Suzie Paris, and their restoration team, have accomplished this through dogged invasive species control and prescribed controlled burns, allowing native habitats and wildlife species to repopulate. Management is a long-term commitment and BMBR staff members work with scientists whenever possible to restore valuable facets of the ecosystem. 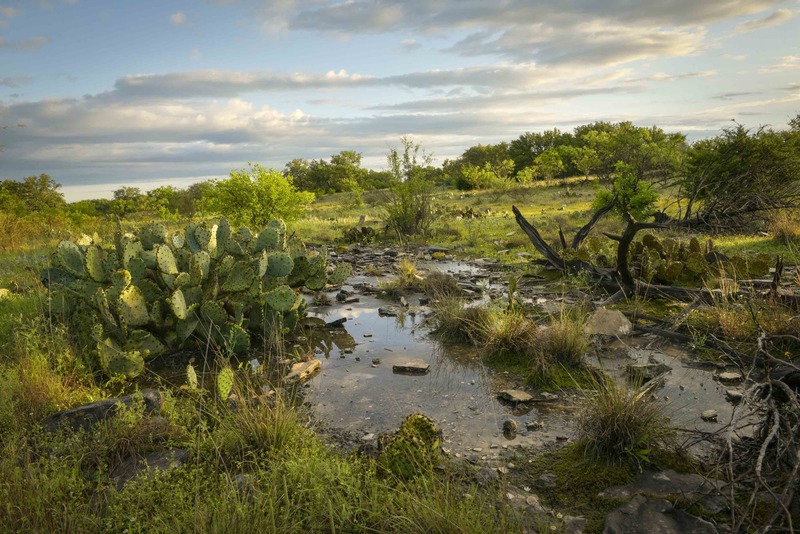 Due to their efforts the BMPR has received the 2007 Mason County Conservation Award, the 2011 Lone Star Land Steward of the Year Award for the Edwards Plateau, and the 2016 Aldo Leopold Conservation Award for Texas.